Two names are included in this listing. 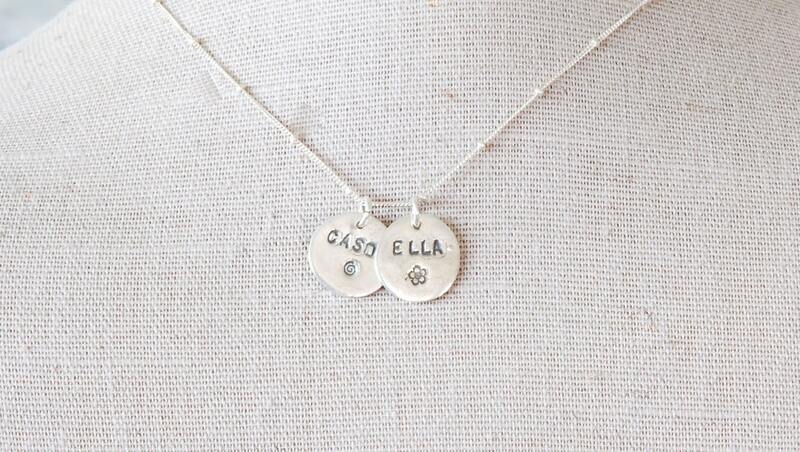 The circles are made from precious metal clay and hand stamped with child or other family members name. 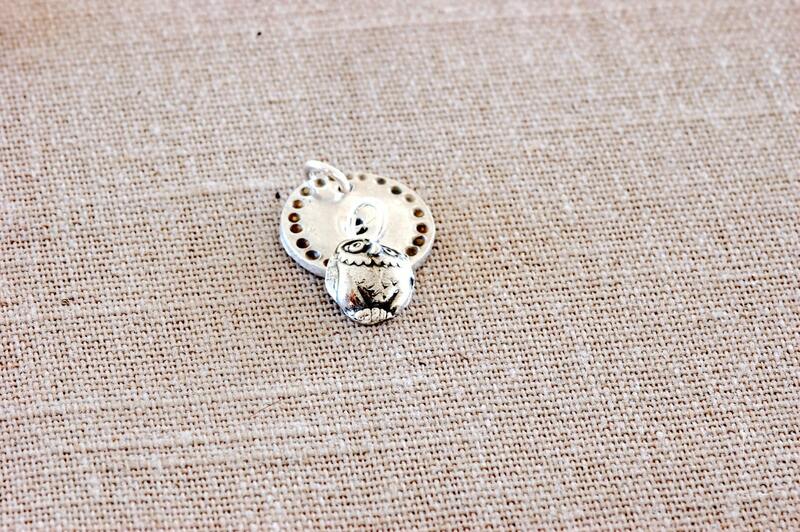 This charm shows a spiral under the boys name and flower under girls name. 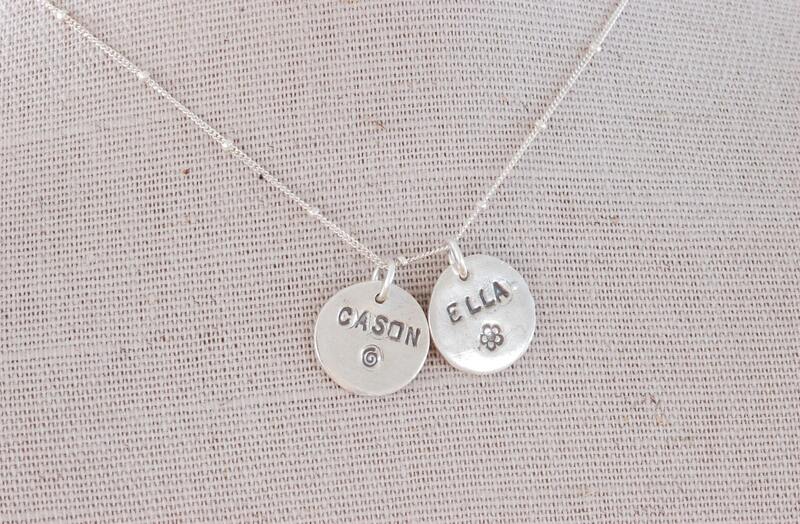 Stampings on charms are oxidized to show name and design. Charms are dime size. The irregularities give the charm character and a handmade feeling. If there is over 5 letters in name, then the name will be curved to go around the face of the charm. 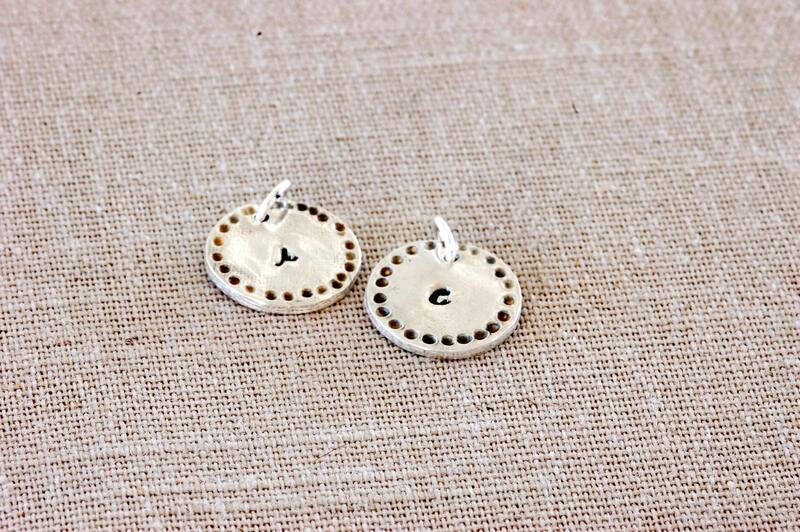 Pair these with custom thumbprint for a special personalized gift. Optional charm ideas are shown in the photos. Sterling silver necklace, included is adjustable 16 to 17 inches long. Please convo me with special requests...I would love to make your charm unique to suit your occasion, whether is is bridal, birthday, mother's day, etc.